The Super Bowl halftime show is in jeopardy. 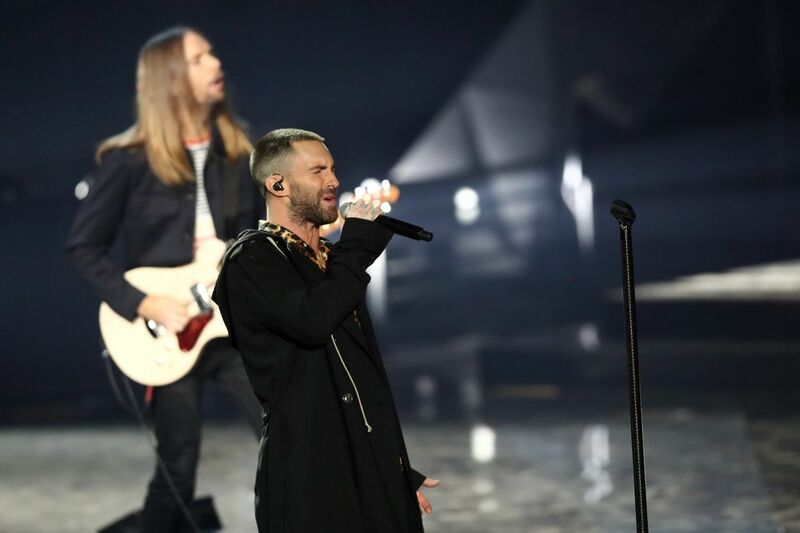 After being turned down by other big acts, the NFL landed the band Maroon 5. But the band might be on stage alone for a ridiculous reason. The NFL’s brand keeps taking hits. The burning issue that still hasn’t resolved itself is the anti-American anthem protest instigated by free agent quarterback Colin Kaepernick. As a result of his radical stance turning off fans, the NFL has been plagued by empty stadiums, and shrinking advertising revenue. Commissioner Roger Goodell had a chance to nip the problem in the bud early on by requiring players to stand for the anthem, a policy the NBA instituted 20 years ago when converted Muslim Mahmoud Abdul Rauf protested the Star-Spangled Banner. Instead, Goodell chose inaction, which caused the problem to fester. Now that celebrity leftists have jumped on the anthem protest bandwagon in solidarity with Colin Kaepernick, the bandwagon has become unwieldy. Fans on both sides of the issue tuning out the NFL has hurt the league’s bottom line, and now the left’s activism is hurting the Super Bowl halftime show. Prominent leftist celebrities like comedian Amy Schumer have been vocal about their anti-NFL sentiment. Schumer said she refused to appear in any Super Bowl commercials, and urged musicians not to perform at halftime. It seems several artists agree with her position. Maroon 5 agreed to headline the show, but the NFL isn’t having any luck attracting star-studded guest appearances. Rihanna was one of the first artists to refuse the NFL’s invitation. She was joined by rappers Jay-Z and Cardi B, as well as pop divas Adele and Pink. These stars and others won’t perform until Kaepernick is signed by an NFL team. First of all, these activists clearly have no understanding of the NFL. Coaches and general managers are paid to win games. If they don’t win enough, they get fired and have to relocate their families to another city for another opportunity. With the stakes so high, teams don’t have time to care about arrogant protests from entertainers. If teams genuinely believed Kaepernick could help win football games, he would be on a team right now. But his dwindling performance, as evidenced by his last two years in the league, his pugnacious attitude, and his penchant for drawing media bloodhounds make him a high-risk gamble that just isn’t worth it. Second, the NFL can’t force a team to sign Kaepernick, so the boycott is pointless. It would be like conservatives boycotting the Oscars until Academy voters give an award to an outspoken Republican. Sadly, this is what the left has done to American culture. They’ve taken institutions that brought people together and used them as yet another implement to divide. Thanks to leftists, watching Maroon 5 perform at halftime of the Super Bowl has now morphed into a political statement.